Single Channel Rotary dispensing using either single or dual-ended pump module. 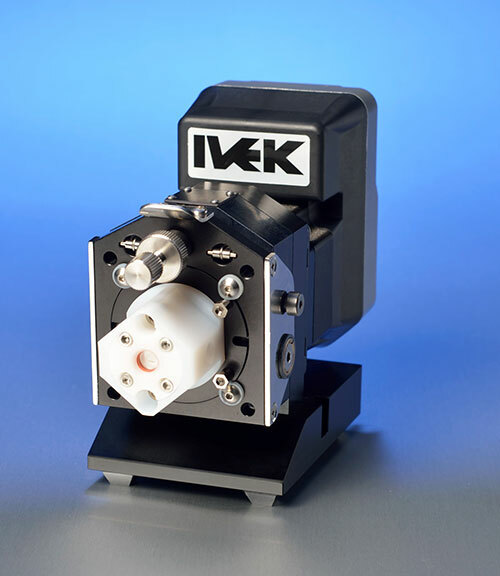 Dispensing ranges from sub-microliters to milliliters 0-1500 rpm stepper motors. Bench top to full automation. (Replaces Digispense 800 & 700 models). 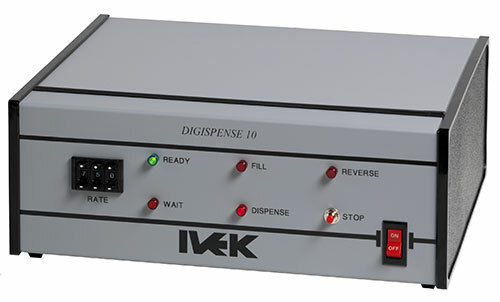 Digitally controlled Single Channel Linear dispensing. This system uses a microprocessor-based controller to drive a linear actuator. When combined with a precision manufactured ceramic piston/cylinder, excellent accuracy and repeatability can be maintained. Discrete dosing from sub-microliters to 2.0 milliliters. Volume selection includes 10,000 to 1 resolution. 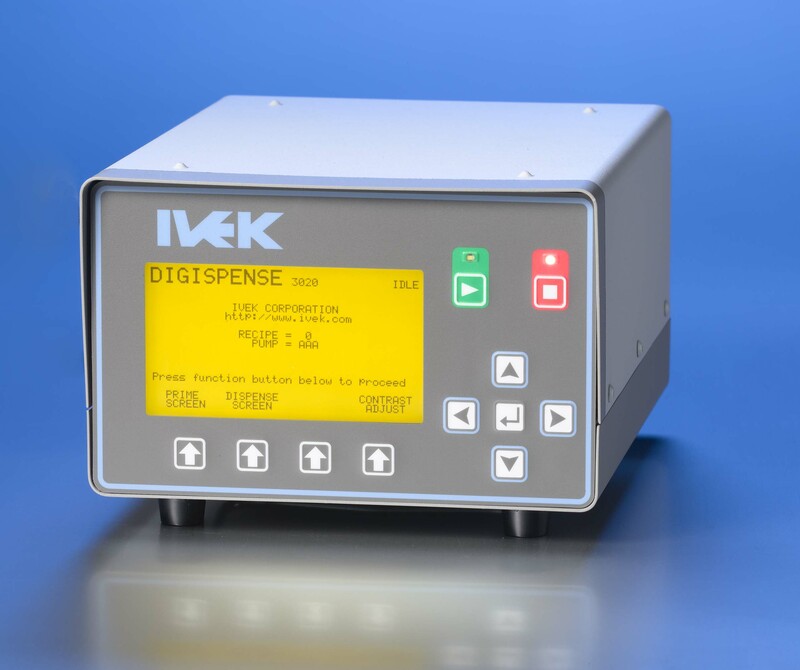 (Replaces Digispense® 2000 models). 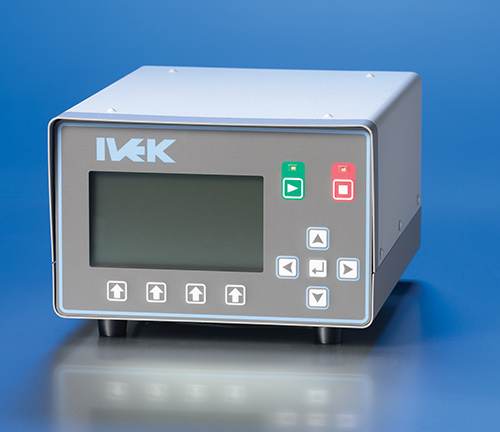 Electrospense® combines the proven performance of IVEK’s AP pump head and precision machined, ceramic pumps, with a Microspense® Integrated Controller packaged inside the motor. 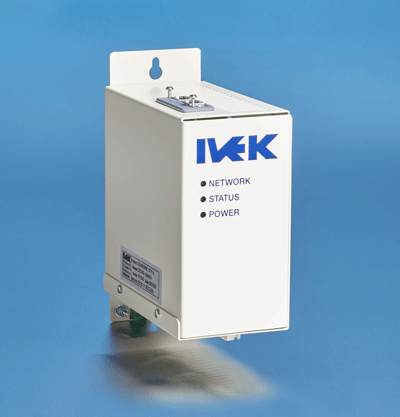 Single Channel Rotary dispensing using either single or dual-ended pump module. Dispensing ranges from sub-microliters to milliliters. Bench top to full automation. 0-2400 rpm DC Brushless motors. (10-7 Series includes drawback for more viscous fluids).